Barcelona superstar Luis Suarez showed some epic ball control in the new Adidas video. Suarez was accompanied by Barca team-mate Lionel Messi in the video. Suarez showed incredible skills controlling a ball dead, which was dropped from 35.27 meters height from a crane, the former Liverpool striker was accompanied by Messi and YouTube stars F2 Freestylers. 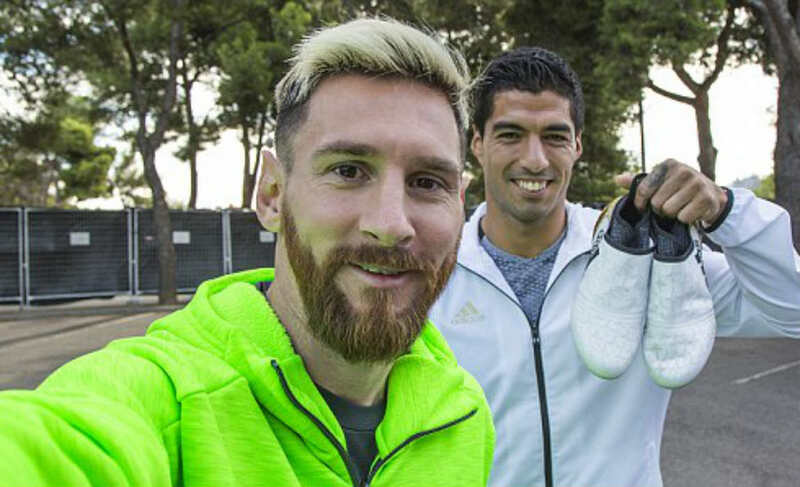 Messi and Suarez lead Adidas’ roster of football superstars. The prolific Uruguayan is widely regarded as the best striker in the world and breaks records for fun, but even that doesn’t make this latest feat any less impressive. The ball traveled at almost 65 miles-per-hour and Luis Suarez was assigned the task to control the ball. It took the 29-year-old a few attempts to get used to the conditions but soon the S from the famed MSN showed his master-class. However, Suarez’s feat was undone by free-styler Billy Wingrove who controlled the ball from even higher height than the Uruguayan. The feat Put Billy and his colleague Jeremy Lynch in the world record zone, which the duo celebrated crazily.